Leaky Gut, GAPS and Where to Start?! The GAPS (Gut And Psychology/Physiology Syndrome) diet is renown for its success stories with healing and sealing the gut lining resulting in reversing an array of illnesses from Autism to Acne, and IBS to Depression. As modern medicine explores deeper into the importance of a healthy gut microbiome (forest of gut bacteria), science is unravelling the negative impact that processed foods, conventional farming, stress, chemicals, medication, beauty products and more, have on the microbiome. Overtime, these elements of life destroy the diversity of gut bacteria promoting a 'Leaky Gut'. And it is the Leaky Gut that seems to be the root issue for the rise in illness in today's society. So what is Leaky Gut and how can we address it? Leaky Gut is where the intestinal lining, which in a healthy state acts as a barrier between the external environment (what is consumed) and the internal environment (the body), becomes damaged. Rather than being a strong gut wall lined with an army of gut bugs ready to charge foreign particles with their pitchforks, the gut wall has cannon ball holes from being taken over by toxic chemicals, highly refined foods, stress and more. Because 80% of the immune system stand guard behind the gut wall, when a leaky gut is present, the immune system then becomes overpowered and is unable to be the strong defence system it was designed to be. 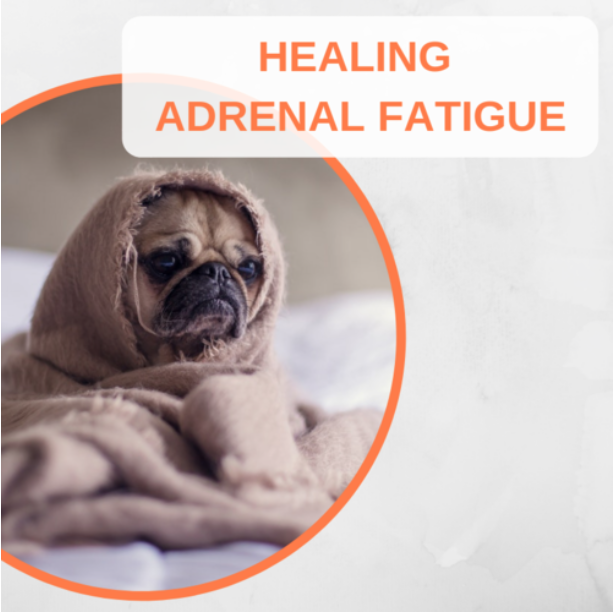 Once undigested food particles, refined sugars, processed carbohydrates, medications and toxic chemicals charge through the leaky wall weakening the immune system, the rest of the body becomes exposed to danger, resulting in illness. Leaky gut is primarily born due to the lack of diversity and population of healthy gut bacteria within the colon. These little guys are in charge of a hell-of-alot including the digestion of fibre, the creation of healthy poo's, the synthesis and release of essential vitamins and minerals like B Vitamins and Vitamin K, maintaining a healthy immune system, sending signals to the brain, and so...much...more! So as you can see, it is OUR JOB to make sure these little fellas with big occupations stay healthy and strong for overall health. What does the GAPS diet have to do with this? The GAPS diet was created to heal and reseal that leaky gut wall. With copious knowledge and a dense understanding of the 'diet', a qualified GAPS Practitioner can help those in need of a gut reseal and reboot. With a focus on wholefood, supplementation when needed and of course lifestyle changes, the GAPS diet is designed to rebuild the gut microbiome which in turn rebuilds the body's health again. This is a unique protocol with countless healing stories, and just like Hippocrates said "All disease begins in the gut" so "Let food be thy medicine, and medicine be thy food." Welcome to the GAPS Sessions. 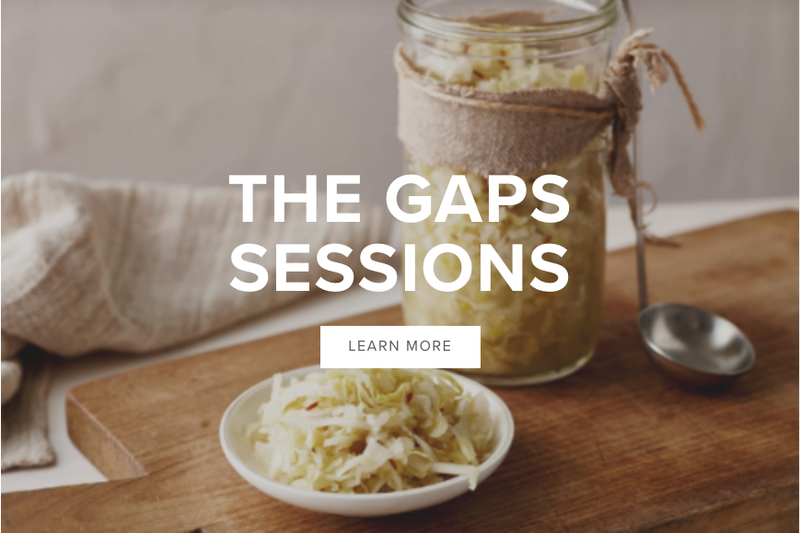 Let us introduce to you the GAPS Sessions. The GAPS Protocol with all of its success, can at times be incredible overwhelming. 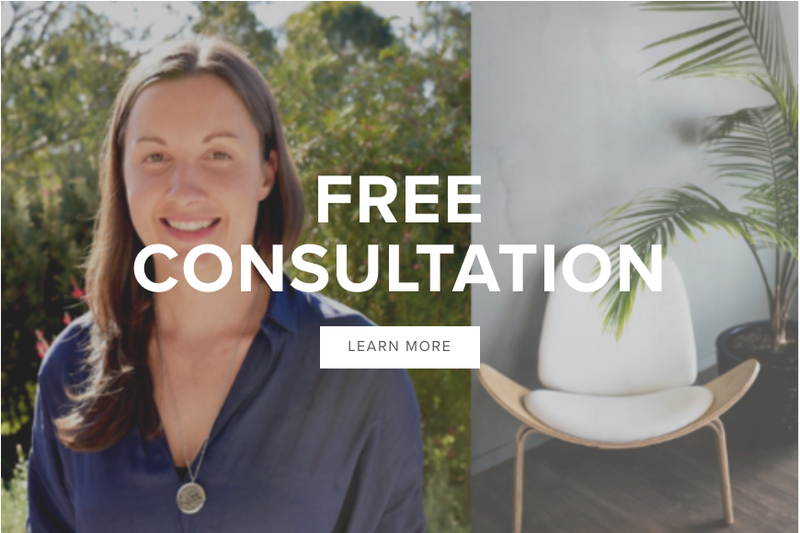 In this first ever workshop series, Elyse Comerford will break down the most important points into 6 LIVE sessions (with recordings available for those who can't make it live). Each session will cover a topic listed below, and include a Q&A at the end of each session. These will be conducted within a private Facebook group with additional support in-between. A single appointment with Elyse is $180, so this is incredible value and won't be offered at this price again. This is an interaction and intimate service full-to-the-brim with support. Because we want you to get the most out of your GAPS sessions, there are limited spots available.